LaserDisc Database • View topic - 8 channel switch? Post subject: 8 channel switch? With my planning on upgrading my current blu-ray player to possibly a 4K machine with DVD-Audio and SACD capabilities and 8 channel output, has anyone ever come across an 8 channel switch box? I have my HD-DVD player connected to 8 channel inputs on my receiver, but there's only one of those. I was thinking of just using 8 Y-splitter cables to connect both players to the same inputs, but figured that probably wouldn't be the best of ideas. I then tried searching for an 8 channel switch box with RCA inputs and outs, but haven't been able to find one. Are such things even made? I found one for speaker terminals, but none for RCA connectors. Post subject: Re: 8 channel switch? Tried a search using 7.1 rather then 8 and came up with Zektor. Expensive though. Maybe I can get away with using 2 component video switchers instead . . . This is a Philips, SWS2325W, "passive" component video switcher. I use it right now to switch my Sony SACD/DVD player and Denon Universal Player into an Outlaw Audio ICBM-1 and then on to a Denon AV Receiver. The key to this unit is that because it is "passive" (it is a manual push button box that switches internal rails for input switching instead of using IC's), it will not degrade the signal at all. 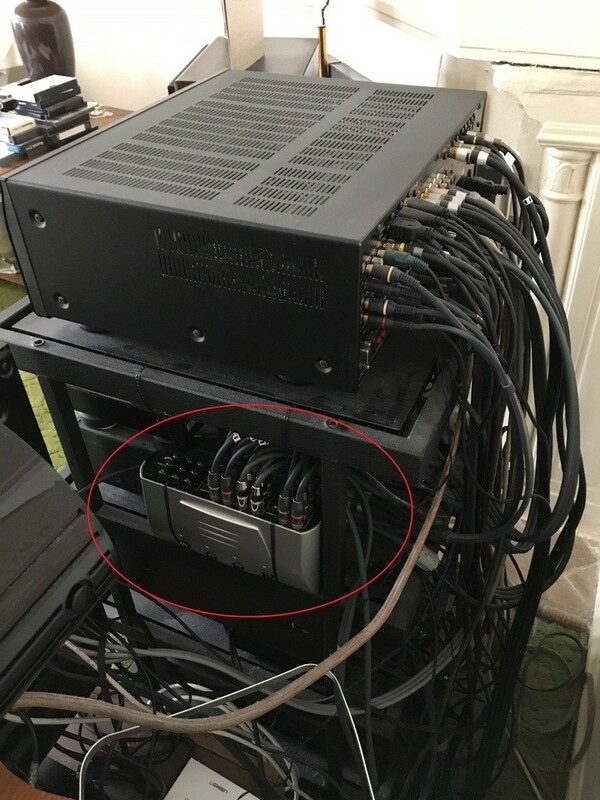 In addition, even though it's really built to accommodate only six analog RCA connectors, one can still use it for 7.1 switching (see pic below) if you're willing to customize pairs of RCA cables to run through the S-Video jacks (S-Video is essentially a two channel, four wire cable).